Melania Trump, maybe America's most private first lady ever, is a woman whose quiet presence on Pennsylvania Avenue is almost the polar opposite of the image projected by her husband. 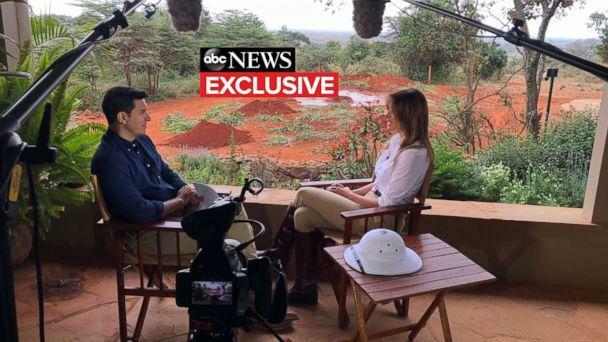 But when she sat down with ABC News for a rare interview during her recent trip through Africa, she spoke freely, describing times when she has disagreed with her husband as well as what she likes about her role — which she repeatedly emphasized she does, indeed, like. “I love Washington. I love to live there. And I made the White House home — for our son and my husband — and we love to live in the White House,” Trump told ABC's Chief National Affairs Correspondent Tom Llamas. 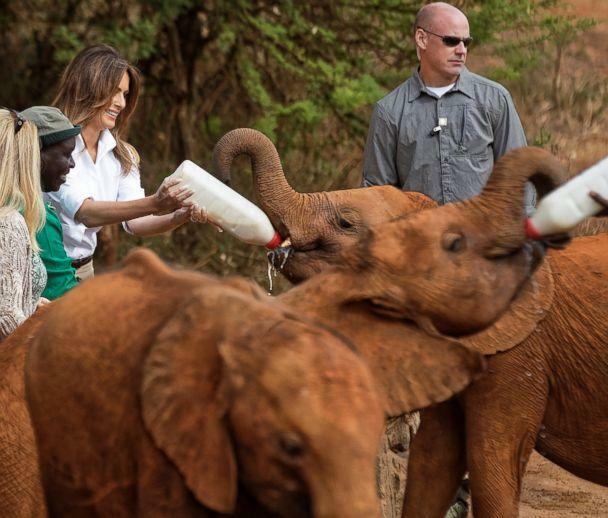 With a scenic wildlife preserve in Kenya as the backdrop, Llamas asked Melania Trump if traveling was one of the best parts of being first lady. Yes, she said, it was. “But it's also when I travel across the world and across the country, meeting people, and hearing and helping them as much as I can, and hearing what is important to them,” she added. Nevermind that her husband has taken a vastly different approach when it comes to his views on a global community. Last month, he told the U.N. General Assembly, “We reject the ideology of globalism and embrace the doctrine of patriotism.” And earlier this year, President Trump sparked backlash at home and abroad after reportedly calling certain African nations “s---hole countries” during a meeting with senators in the White House. The president later denied using that language. 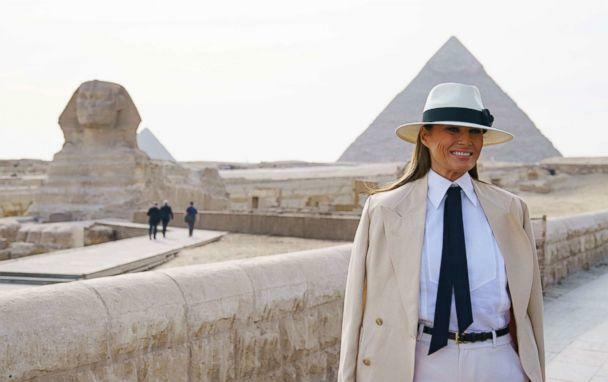 Long before traveling the world as first lady of the United States, Melania Trump spent her youth in a small central European town before navigating the ranks of the fashion world and eventually landing in the country she now calls home. Born Melania Knauss in Slovenia in 1970, she worked as a fashion model in Italy and France before moving to New York in 1996. Shortly thereafter, she met a real estate developer with big buildings and an ego to match. During an interview with Barbara Walters in 2015, the first lady described how the two met. The mogul and the model would marry in 2005. Now, 16 months into living in the White House, she says there have been challenges. Trump says she wants to make the most of these White House years. And yet, she says not everyone wants to help. 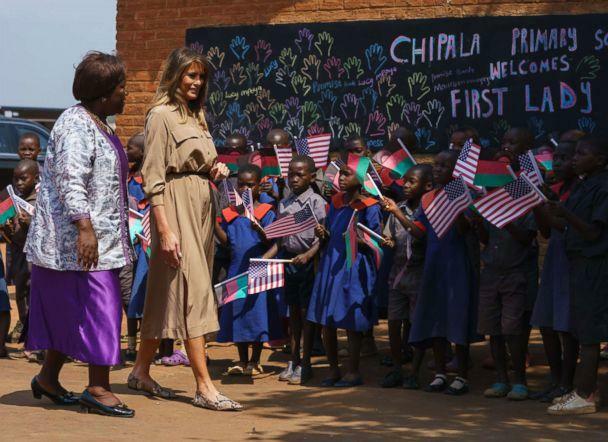 The first lady lamented that organizations have spurned her efforts to collaborate, accusing them of allowing her husband’s politics to get in the way of her charitable endeavors. There are also those repeated accusations of sexual misconduct and infidelity leveled against her husband. One incident, in particular, garnered an apology from her famously stubborn husband – the release of the Access Hollywood tape during the run-up to the 2016 election, in which Trump is heard making vulgar comments about women. “During the Access Hollywood incident during the campaign, your husband apologized to you. Has your husband apologized to you since you've been in the White House?” Llamas asked the first lady. “Yeah, he apologized,” she said, before declining to divulge further details. Asked if her husband’s alleged affairs — which the White House has denied — have put a strain on their marriage, she said that people and the media like to speculate and circulate gossip. Speaking to ABC News in Africa, she addressed the #MeToo movement, calling on sexual assault accusers to present “really hard evidence” if they decide to go public with allegations. 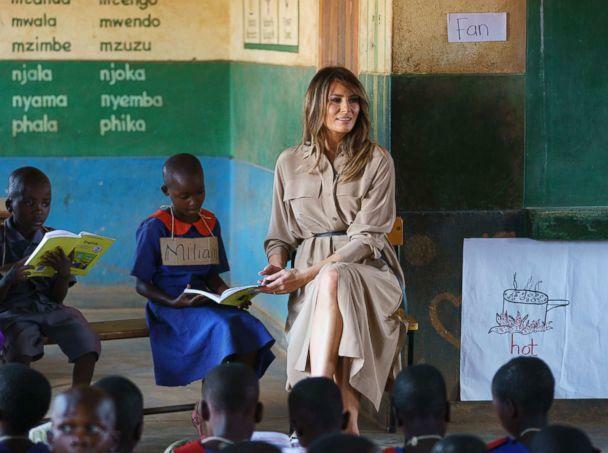 During her time in Africa, Trump sought to highlight her major policy initiative, “Be Best,” which raises awareness about the effects of online bullying on children, among other things. The first lady explained how her experience being bullied led in part to her "Be Best" initiative, going so far as to suggest she is one of the most bullied people in the world. "I could say that I'm the most bullied person in the world," Trump said. Pressed by Llamas on that assertion, she responded, "One of them, if you really see what people are saying about me." Both online and on TV, people often focus on what Trump wears. Sometimes it’s because of appearances at glamorous diplomatic or ceremonial events in the White House or abroad. But then, there was the jacket. 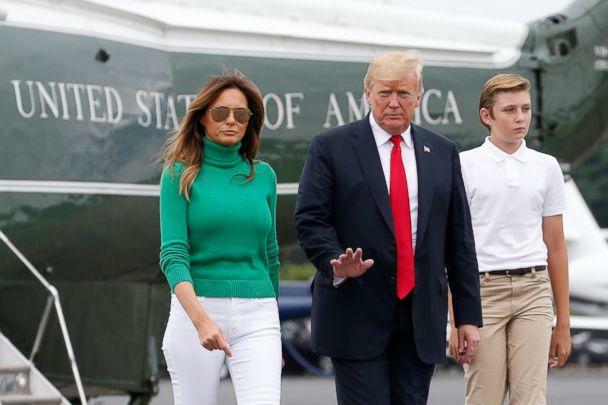 Boarding a plane to Texas to meet with children of families separated at the border, Trump was spotted donning a green jacket with the words, “I really don’t care, do you?” emblazoned on the back. Her choice of wardrobe caused backlash before her flight landed just hours later, with her concern for those children of separated families immediately being called into question. “It was kind of a message, yes. I would prefer that they would focus on what I do and on my initiatives than what I wear,” she said. Asked about suggestions that the jacket’s message was directed at the children of separated families. Aside from the media scrutiny, being in the White House presents additional challenges. In spite of her appreciation for the nation’s capital, she doesn’t trust everyone who works for her husband there. Trump told ABC News some of the people in the president’s administration whom she didn’t trust have left, while others still work there. "It's harder to govern," the first lady said, adding that she tells her husband when she distrusts someone working for him. "You always need to watch your back." Despite all this, Trump said she hasn’t changed since uprooting her life in New York City and moving to the nation’s capital. “I'm staying true to myself. I want to live [a] meaningful life, and that's the most important to me. I know what my priorities are, and I'm focused on that,” she said. “You know, our first first lady, Martha Washington, famously said the role of first lady can sometimes feel like a state prisoner. Can you relate to that?” asked Llamas. “I don't feel like a prisoner. No. I [am] enjoying it, and this will not last forever. And it's [a] very special time,” she said. Some of the biggest misconceptions about her, she said, have been what she called the “speculations” — that she’s “out of touch,” or doesn’t live in the White House, or rumors that spread after she spent time in the hospital for a benign kidney condition, as her spokeswoman reported.